Our hostel of choice is located in Gamla Stan, the old town. This part of Stockholm is located on one of the small islands of the city’s earliest settlements, and it still maintains its medieval character. 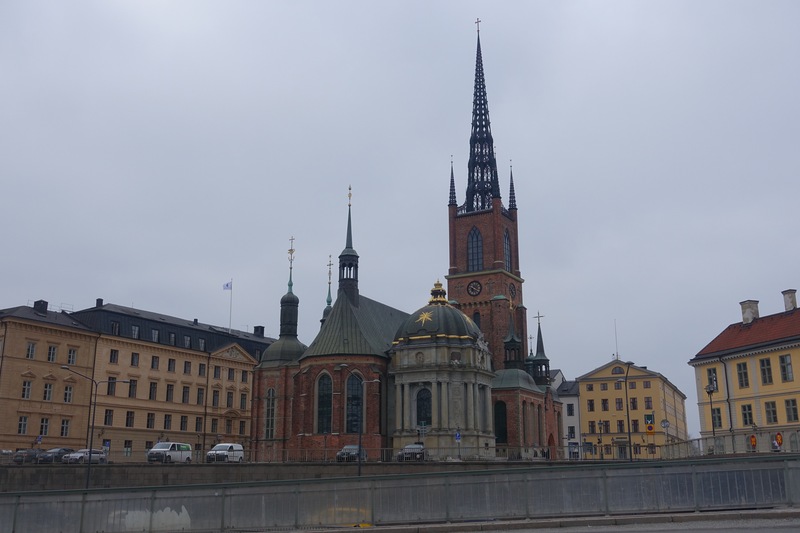 After grabbing our customary coffee and snack, we took stroll down the waterfront to catch sight of the Riddarholmen Church. This church is the final resting place of all of Sweden’s monarchs. Parts of the church date from the late 13th century when it was first built as a greyfriars monastery. The building is only open to visit during the autumn and summer, so Tom and I were unable to get inside. Our next stop was the Stockholm Cathedral, the oldest church in Gamla Stan. The facade is in the Swedish Brick Gothic style, but my favorite part was the wooden statue of Saint George and the Dragon. (If a sculpture or statue of this particular biblical event is housed in a house of worship, it is commonly what I admire the most). 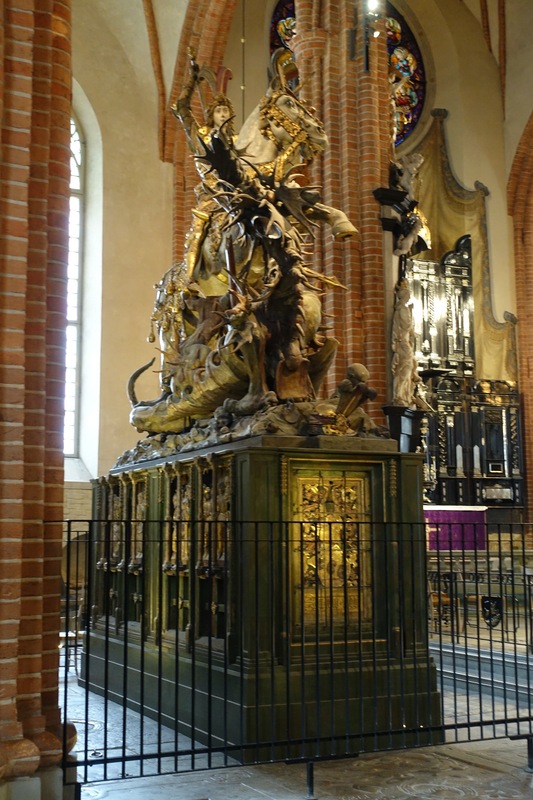 Attributed to Bernt Notk (1489), the statue was commissioned to commemorate the Battle of Brunkerg (1471), and serves as a reliquary containing the saintly remained of George himself in addition to six others. 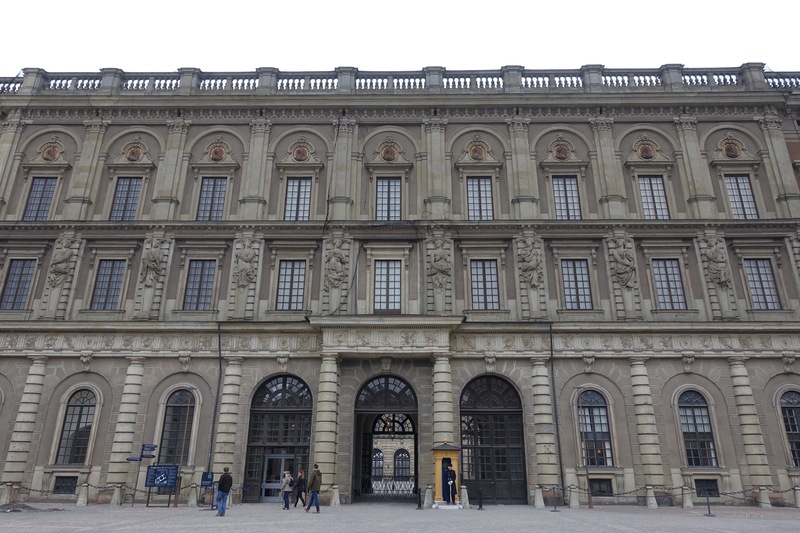 Adjacent to this lies the Stockholm Palace, the official residence of the Swedish Monarch. Nicodemus Tessin the Younger formed its shape like that of a Roman Palace. When he passed away in 1728, the chief architect role passed on to Carl Hårleman who is largely responsible for the the Rococo interior. Construction had started in 1697, but did not officially complete until 1760. This is because work on the building was paused for 18 years due to the expense of the Great Northern War. 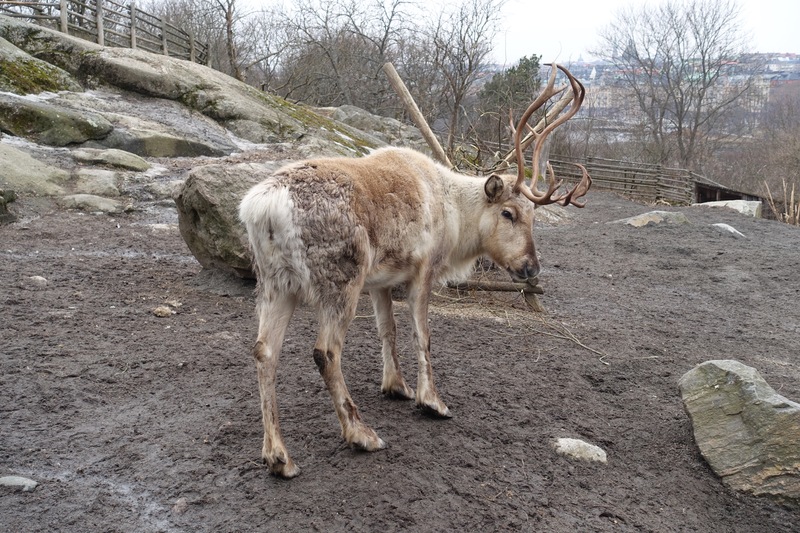 We then took a leisurely stroll through the Skansen Museum, the first ever open air museum, founded in 1891. One can experience over five centuries of Swedish history in a visit, and there were several animals romping about in their habitats. The only disappointing part was that the aquarium required an additional fee to visit, and despite my desire to have a close-encounter with lemurs, neither of us could justify paying an additional $12 for it. After all, the USA has some of the best zoos in the world.